Sigh, I used to adore this dress but after a year off from the diet it's a tad too tight now. Definitely not a dress I can wear after a big meal. I have however noted all your feedback on this post, got myself an exercise mat and I'm hoping to start working out at home a little bit. The 30 minute walk to the train station from my new house will help shift some podge too. I'm a huge Zatchels fan and I've already got a few of their bags, one in gold and another in purple. What I love most about them is that they are handmade in England from the finest quality leather, using expert craftmanship. It's pretty rare to get something made in the UK these days and I think it's important to support homegrown industries. This bag was ordered from Cloggs and was dispatched the same day and arrived within a couple of days. Pretty impressive. I love this bag, the bold colour can lift a drab outfit and make a statement. I'm looking forward to a weekend of DIY on the new house, trips to IKEA and a rare weekend where both Martyn and I don't have work. I'm planning on making a nice big toad in the hole with lots of fresh veg on the side and spending the evenings relaxing. Hope you have a wonderful weekend whatever you are up to. 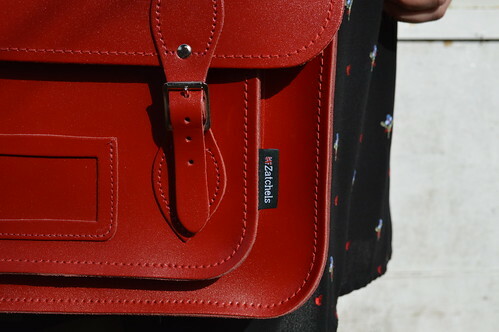 I'm dying for a red satchel. This one is so lush! This satchel is gorgeous! I have a pastel orange Cambridge satchel, and they look very similar, but the colour of this is beautiful! 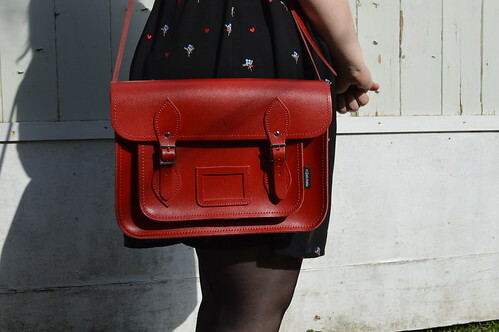 I love Zatchels bags, they've been on my wishlist for ages. Not sure which colour I would go for but I really love your red one. There are so many nice colours. I love my gold one because it's bold and always gets comments but red is pretty classic. Gemma, just to what I do when a fitted dress gets a little tight, open up the seam under the arms and insert a small piece of stretchy fabric! no one sees it because it's under the arm and it give the dress so much more give! oooh handy tip ;) I am a little fuller in the bust too so might use this tip so I don't have to size up and have a baggy waist. 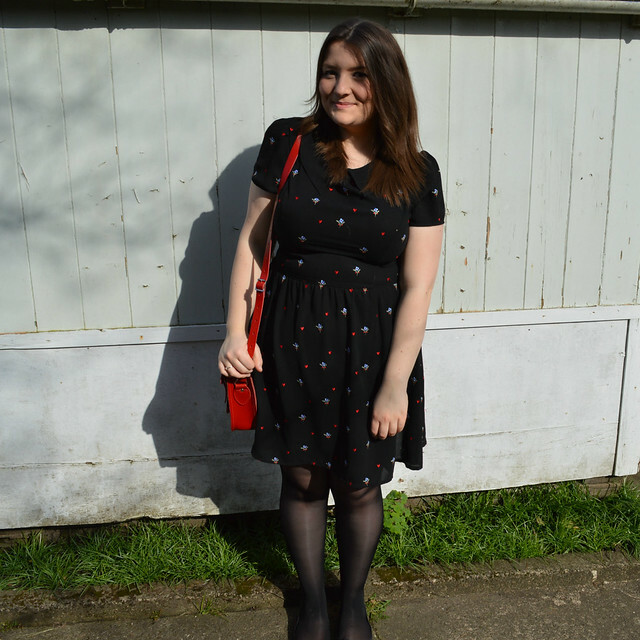 This is such an amazing outfit, I love this dress on you and that bag is ace!